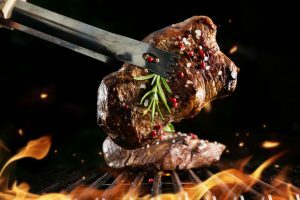 The modern gadgets in form of electric smokers are the part of age-old tradition of smoke cooking which prepares highly fascinating and flavorful aromatic smoked food in form of tasty vegetables or delicious meat. How to start the electric smoker? You can place the seasoned food item into the furnace, put the pieces of woods in wood box and switch on and set the desired temperature. You can either relax or sleep for a while till the food gets prepared as per your taste and choice. The electronic smoker can control the temperature and also keeps the amount of smoke inside the chamber which is very crucial and which helps in smoking the food perfectly. The entire process of cooking is dependent on the temperature which reaches to a desired level till the process of cooking gets over. When the smoker starts heating you do not have to check for the fire all the time but it will keep burning for long. The advantage with the electric smoker is that it does not require any tending at all. Today the electric smokers have changed the way of cooking and have made cooking easier and time-saving. 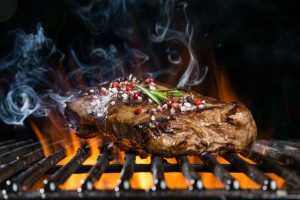 Though the electric smokers still smoke the food in traditional way and it tastes deliciously similar, but the way of cooking is different because the electric smoker needs less time and minimum attention. The food should be placed in the container box that encloses from all the sides and having the timer. You can make use of wood chips or sawdust to add flavor to the food. The electric smoker works effectively once the timer is set. 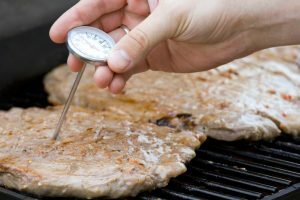 It also sets thermometer to keep the track of temperature and the smoke gauge which helps in the process of smoking the food. 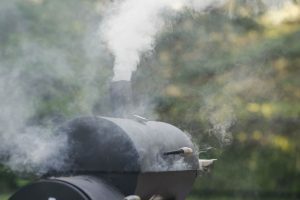 The electric smoker works similar while it uses wood, charcoal or gas and produces smoke for cooking the food placed inside. But the advantage with the wood is that it produces more smoke which helps in cooking faster and makes the food flavorsome. The electric smoker keeps producing the heat constantly as it uses electricity and keeps producing the smoke required for cooking. The electric smoker works similar to the traditional smoker which requires time to season the food or the meat. 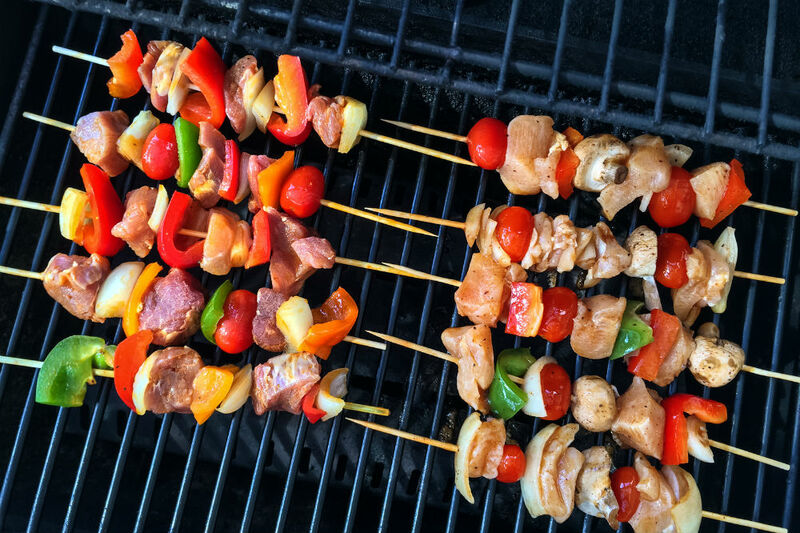 It requires wood chips and sawdust to add a flavor to the preparation. The electric smoker does not need any time to be spend with it because it works automatically, once the settings is done which is easy-to-operate. It keeps heating and generating the smoke and can cook the food. You can also read up about smoker grills, which are a combination. Why the smoke ring is missing in electric smokers? But the electric smoker when cooks the food by generating smoke which is produced constantly and by keeping the temperature high, without having any effect of the smoke ring on the food particles. 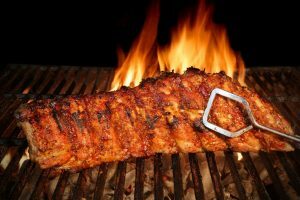 Most of the naturalist argues that lack of smoke ring on the food cooked inside the electric smoker. But why do the people get fussy about the smoke rings. The smoke ring is pink in colored discoloration appears on the food-surface of crush and it can depend on various factors. Most of the smoke rings get generated when nitric acid forms the colored rings while nitrogen oxide from the wood combustion combines with the wet surface of the food or meat. The smoke ring is the chemical reaction between the food and the smoke which creates the rings on the food surface. 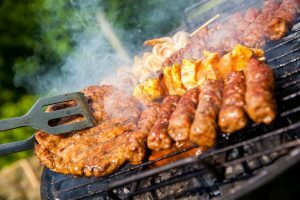 If you really want to have smoke rings on the food-items cooked in the electric smoker then the best way to get the smoke rings is by using the traditional smokers which are available in the market. 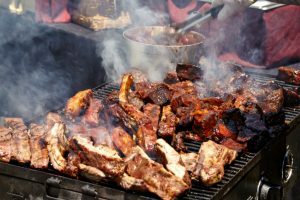 The traditional smokers smoke the food for longer hours in traditional way and then the food can be moved into the electrical smoker. You can get the smoke rings on the food and also you can have appetizing dish which you will enjoy. 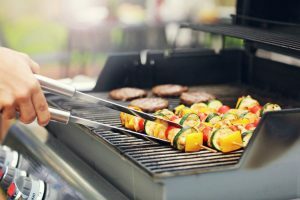 There is also a technique of producing the smoke rings on the food while using the electrical smoker by adding charcoal briquettes and using wood chunks to the fire while smoking the food. Electric smokers work for longer hours consistently and are easy to operate and easy to manage. If you are really looking for the smoke rings then you have to search for more traditional smoker. How to get most out of the electric smoker? If you have bought a new shiny electric smoker and you want to use it for preparing scrumptious barbecue. 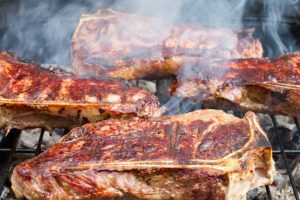 Before you start using the smoker, read the following useful tips. The smoker has the thermostat dial which helps in setting the temperature. But it is strangely recommended that the temperature may vary from place to place in the smoker. First check the air temperature of the surrounding where the smoker is set. You can make use of the handbook giving instructions about best smoker thermometers. When you switch on the smoker for the first time, allows your smoker to get enough time to get adjusted to the temperature first, only then you can add the food for cooking. Always try cooking some simple and less complicated food item for the first time in the smoker. The food will taste better even if you have made any mistakes initially while preparing the dish. Keep the smoker always clean after every usage. You can take the removable parts of the smoker one by one, spay water on it, wash it and clean it. The stainless steel body of the smoker always looks clean and sparkly. One should work more with the smoker. Read the instructions clearly and follow them. When you experiment managing different temperatures and cooking various sumptuous feasts of barbeque, salmon or chicken or smoked ribs which can be possible with an electric smoker. The electric smoker is one of the most popular kitchenware which is making its presence-felt in the residential as well as commercial business environment where it has become part of everyday life.